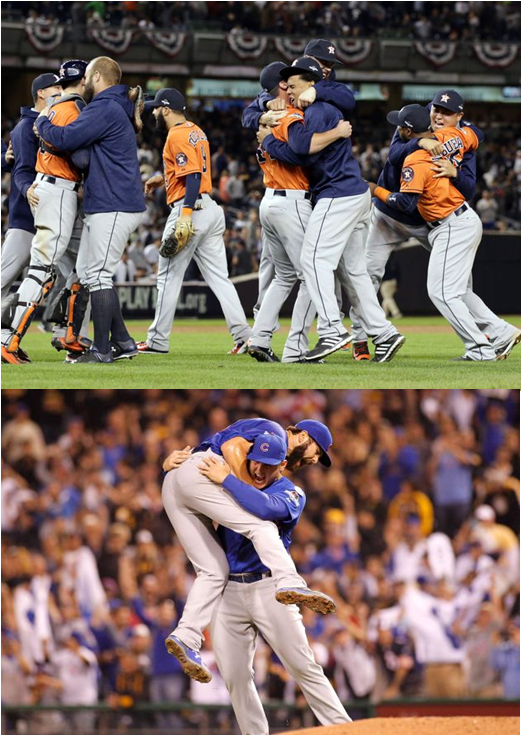 Two dominating pitching performances wrapped up both 2015 Wild Card games in tight little bows, setting the tone for a postseason which will be primarily about the men on the mound. American League Cy Young candidate Dallas Keuchel tossed six innings of three-hit ball in the Houston Astros‘ 3-0 shutout over the New York Yankees, while National League Cy Young candidate Jake Arrieta suffocated the Pittsburgh Pirates with 11K’s over nine, putting the ‘Stros and Cubbies into Round 2 (the Division Series). Houston now has 19-game winner Collin McHugh set for Game 1 against the Kansas City Royals (who have the weakest staff of the remaining playoff teams). Meanwhile, the Chicago Cubs have another two pitchers with under-4.00 ERAs (Jon Lester and Kyle Hendricks) prepped as they get ready for the St. Louis Cardinals. The Cards have five starters with double-digit wins – all of whom have ERAs of 3.38 or less! But, the pitching match up of the early postseason is unquestionably that of the Los Angeles Dodgers‘ staff against the New York Mets‘. The Dodgers will have the two best hurlers in all of baseball today – Clayton Kershaw and Zack Greinke – pittted against the Mets’ young-gun trifecta of Jacob deGrom, Noah Syndergaard and Matt Harvey. Buckle up for some nail-biters. Let’s take a look at today’s list, then. The one-game Wild Card Round has been around for four years now – and checking out the results, one thing stands out immediately. Home-field advantage doesn’t exist. Six of the eight games so far have been won by the away team. No team has yet to win more than one Wild Card game and only one team has even appeared in more than one. The Pirates have made the NL’s WCG as the home team the past three seasons. Hey Bucs, it’s time to win the division. One more very notable note: You think the Wild Card teams have no shot at winning the World Series? Not true. Just remember 2014, when both WC winners made it to the Fall Classic, and the San Francisco Giants won it all in seven.